Virgin Trains has launched a new wrap approved by the Vegan Society after becoming the first train operator in the UK to offer vegan-friendly options on all its menus. Virgin Trains has launched a new wrap approved by the Vegan Society after becoming the first train operator in the UK to offer vegan- friendly options on all its menus last December. 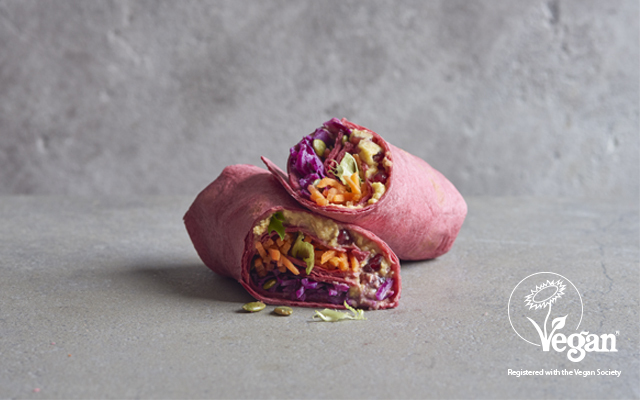 The Hummus and pomegranate wrap has undergone a rigorous registration process by the Vegan Society to ensure all its ingredients are free from animal products to give customers peace of mind. Julie Harper, Virgin Trains’ Food & Beverage Proposition Manager, said she had been overwhelmed by the response to the newly-released vegan menu.